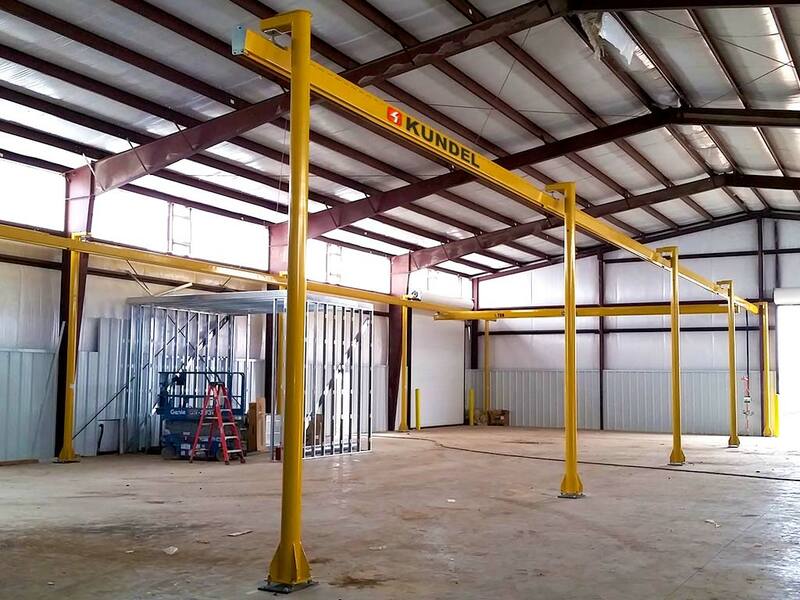 The KTRAC crane system has not only been scientifically proven and well documented to moving far easier than the competition, but also has nearly 30% more square footage coverage than any other competing product. 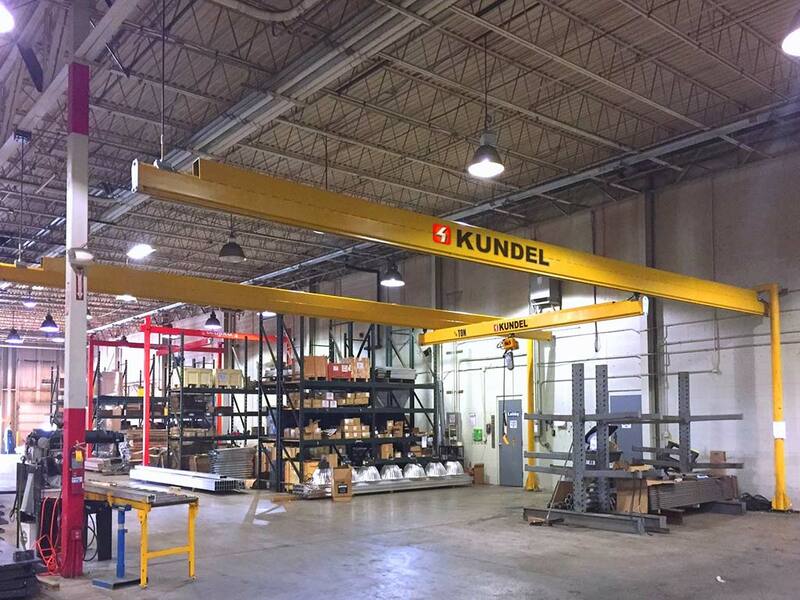 Kundel KTRAC overhead bridge cranes exceed CMAA industry standards for overhead bridge cranes and come with an available Lifetime Warranty. 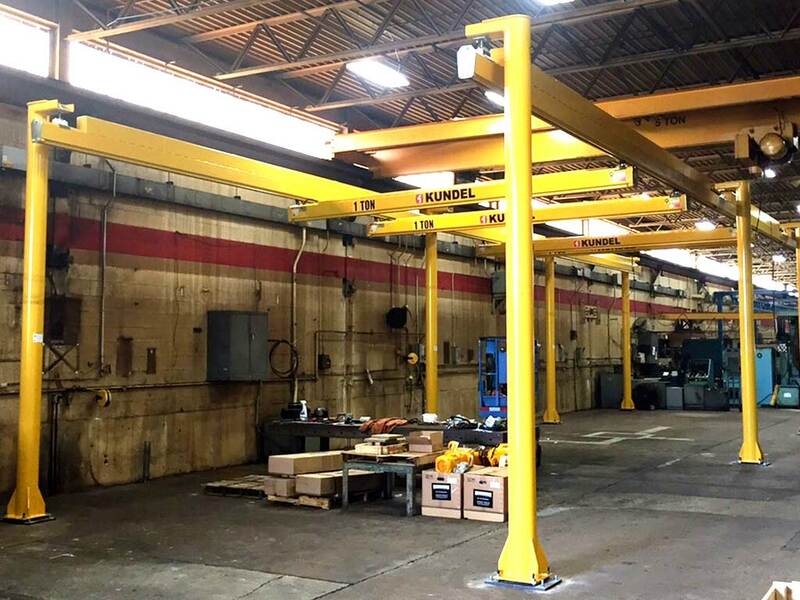 Topics: KTrac overhead crane system displaying raised bridge ends for low headroom applications. Notice the smooth movement and bridge tucked up in between runways. 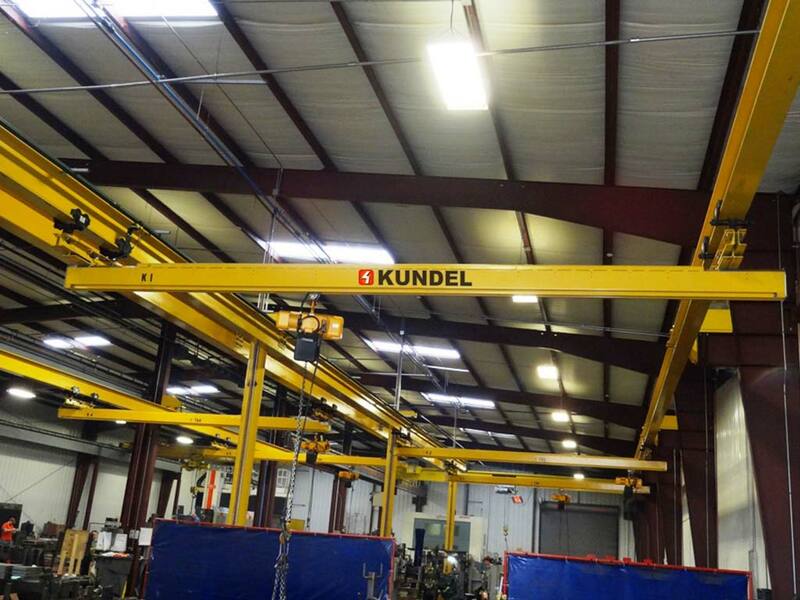 Topics: This video will show the how Kundel Overhead Cranes work in push/pull applications. Notice how freely the bridge moves even when the load is at the very end of the bridge. 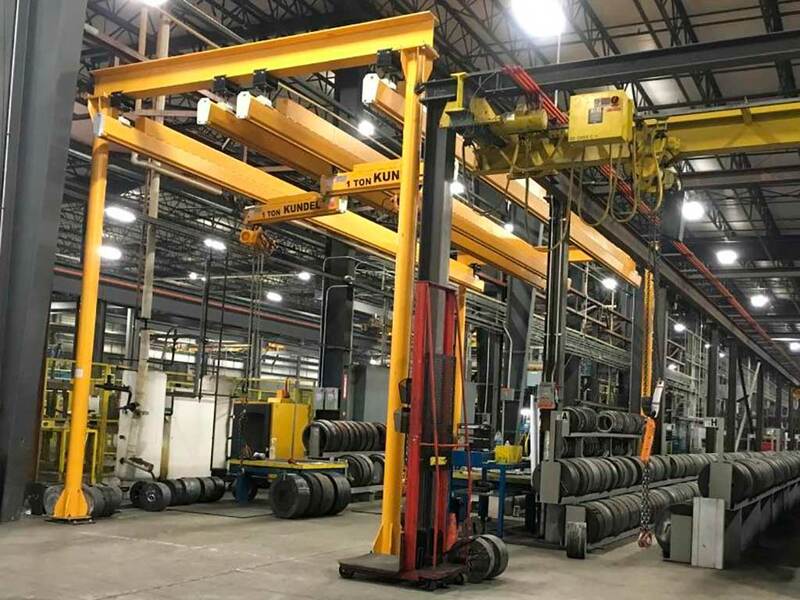 Topics: This video will show the major differences between overhead crane internal conductor bar and typical overhead crane festooning supplied with workstation cranes. Best product on the market, hands down. I absolutely love the internal electric bar. 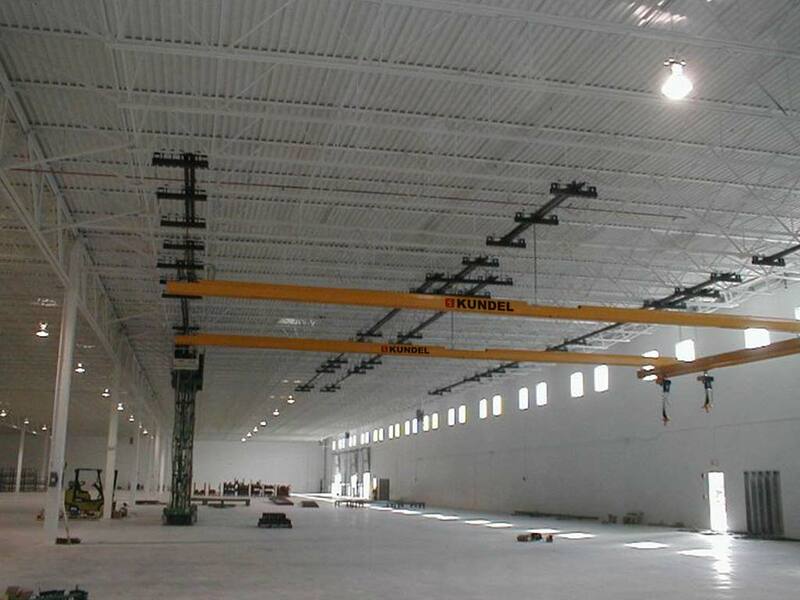 Eliminates festooning loops hanging down in the work cell. Adjustable at base with jack-studs for plumbing and 8" of adjustment at top. 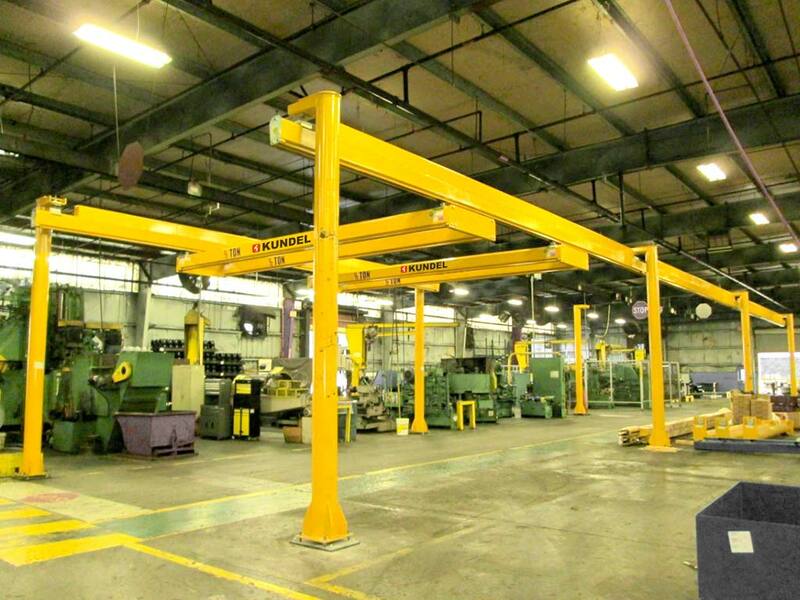 Gain up to 18" of headroom clearance for low headroom applications. Used to support runways on both sides; parallel or perpendicular applicaitons. 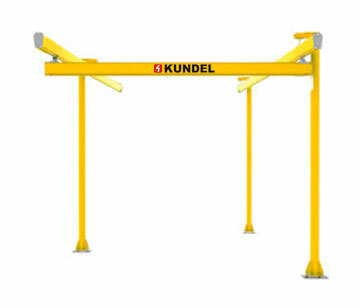 Access areas outside your work cell with cantilver bridges from Kundel Cranes. Smooth operation even when loads are outside the cell. 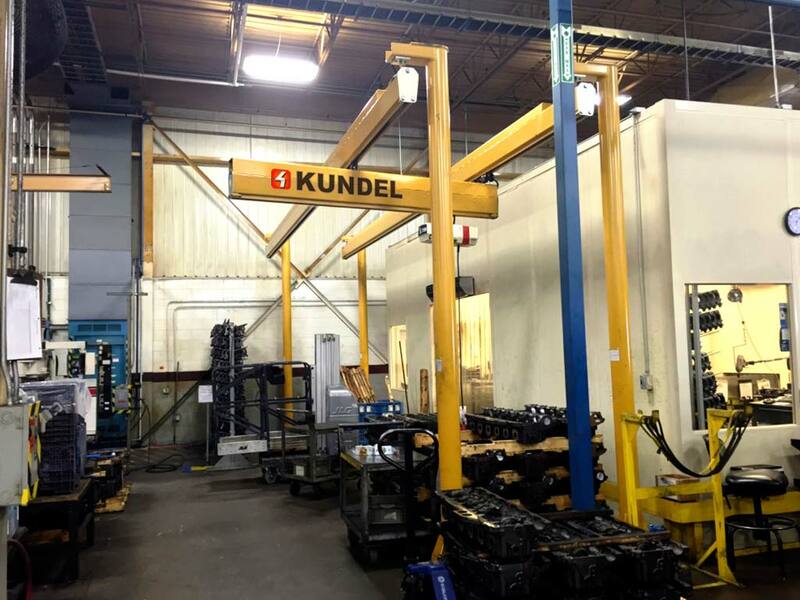 Used for a hoist box, manipulator or fork attachment applications. 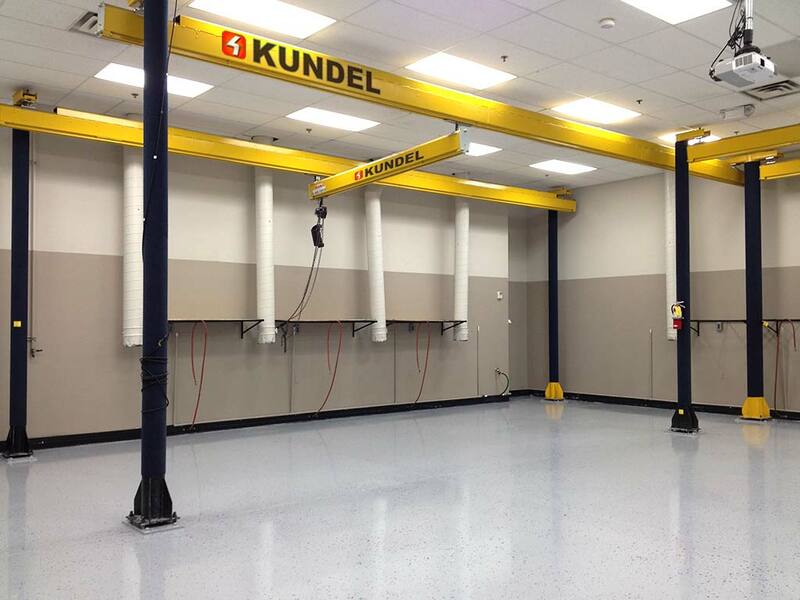 Custom colors to match your shop environment. Paint swatch needed. 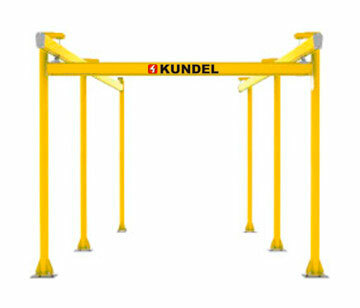 Used when cantilever posts are unable to be close to the immediate the area. 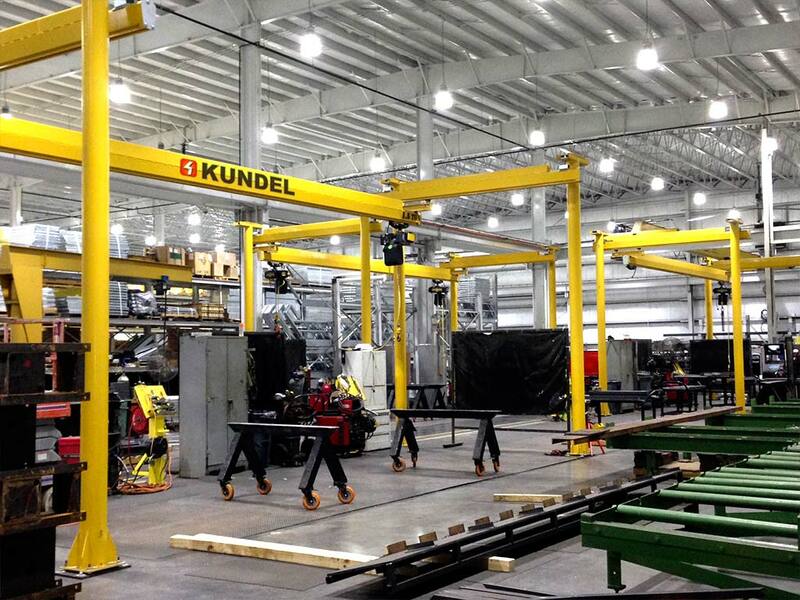 We design, create and deliver custom crane application solutions. Redundant kit attaches thru the endtruck passage into the body of the bridge. 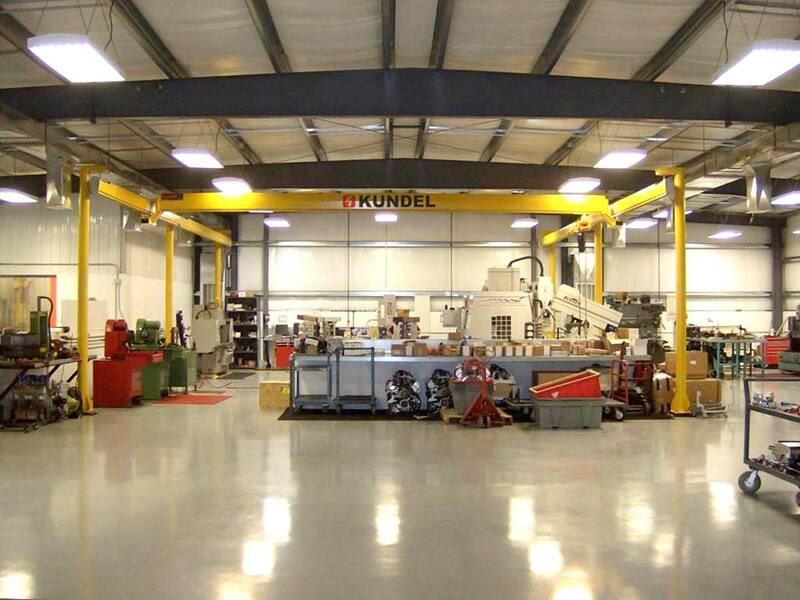 A complete line are available to meet your requirements. 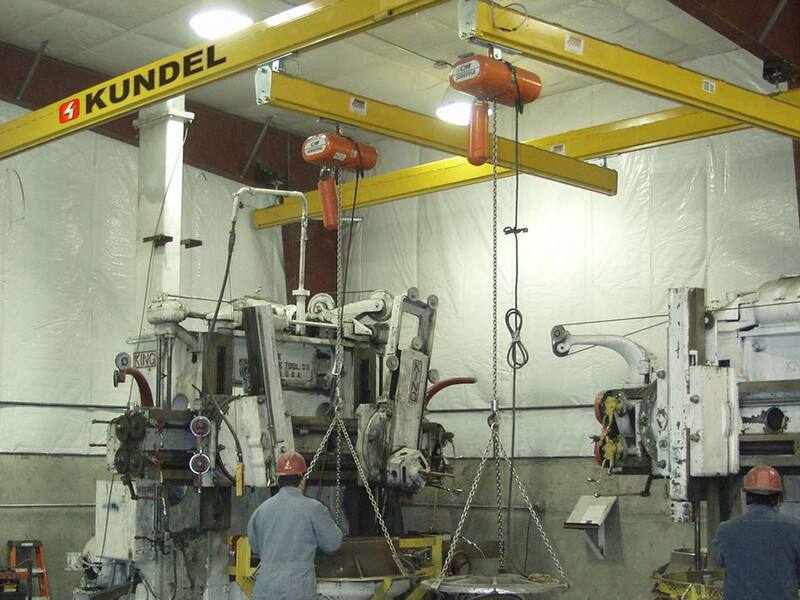 Lift and move your product safely with the right attachments. 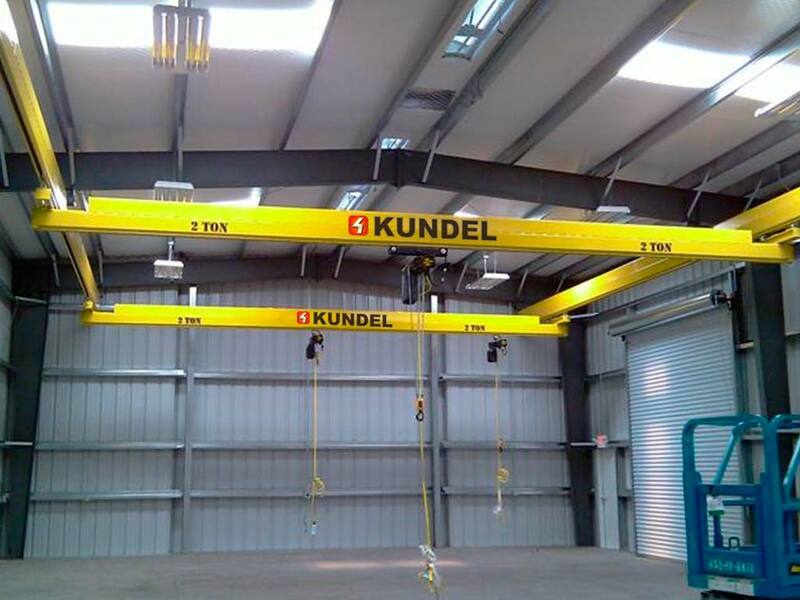 Track and record your service intervals of your crane system electronically. 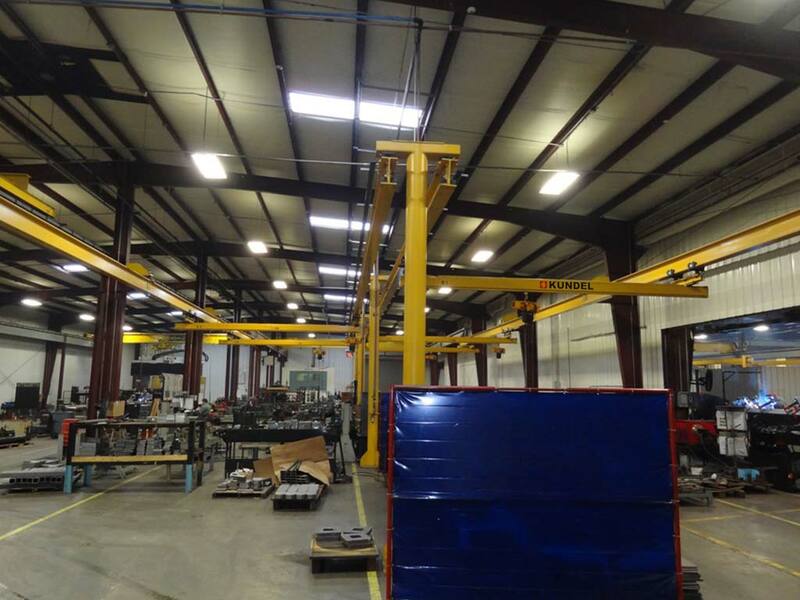 Add warning lights to show operation movement of your crane system. 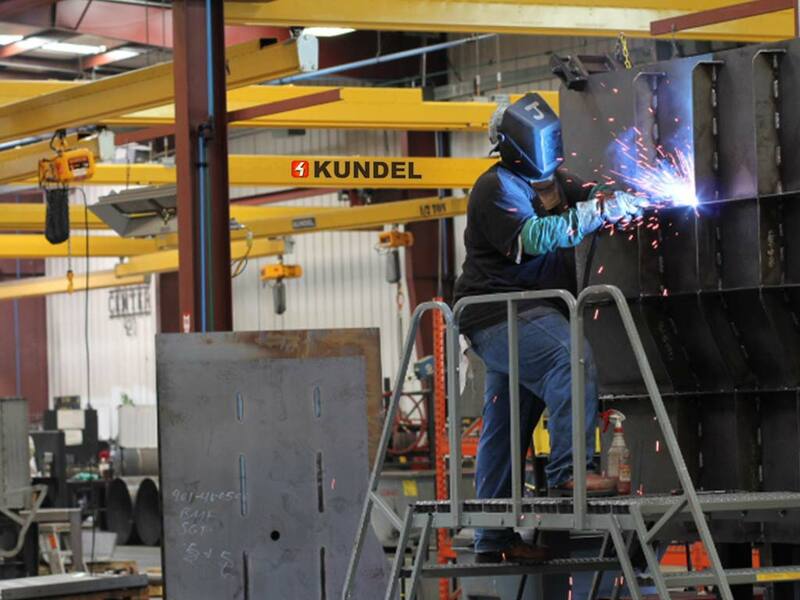 Create a brighter and safer work environment with KTrac white light kits. Safely monitor your loading with a below the hook digital crane scale.